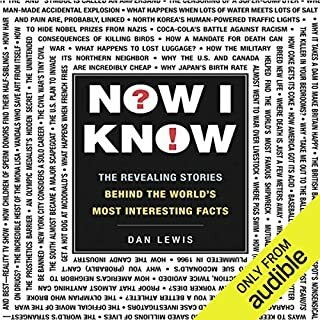 Dan Lewis, creator of the Webby Award-winning Now I Know newsletter, is back with 101 unbelievable-but-true stories to blow your mind. Get ready to find out the real deal behind a new collection of fascinating facts. From pink camouflaged fighter planes to secret Harry Potter characters, Now I Know More covers everything from history and science to sports and pop culture. You'll learn about made-up towns that made their way onto real maps, the time three MLB teams squared off in a single game, and 99 more curious cases of remarkable trivia. And it's all true. 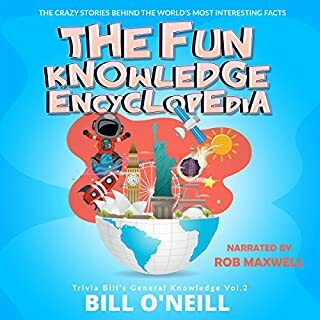 With this audiobook, you really will know more! ©2014 Dan Lewis (P)2014 Audible Inc.
Would you try another book from Dan Lewis and/or Anthony Haden Salerno? Has Now I Know More turned you off from other books in this genre? I usually enjoy trivia and random facts. I stopped listening because of the narrator. Strange 'breathy' style of reading and a number of mispronunciations. Febewary for February and Obstensibly for Ostensibly come immediately to mind. If you could play editor, what scene or scenes would you have cut from Now I Know More? I would find a new narrator and pay more attention to quality control. We're just a batty lot, we humans are; the way our minds work, the choices we make. 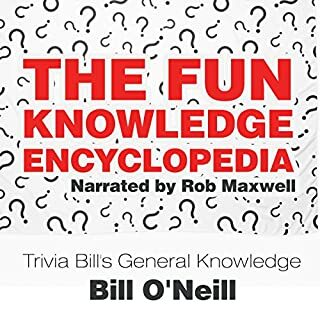 "Now I Know More" is a wonderfully enjoyable compilation of facts/stories that are totally irrelevant to life, but are fascinating nonetheless and bring to life history and human nature. Human nature: LBJ screeching to people in the car that THE BRAKES HAVE GONE OUT (just to mess with their minds) to Putin bringing his dogs around when he knows Germany's Angela Merkel was bitten by a dog in her childhood. History: A family who lived in Siberia and only knew advances had happened by watching "fire in the sky" (satellites), until they all died there by themselves to a cigarette company helping reconstruct one of China's regions most devastated by earthquakes. All the while passing out cigarette candies to children. Simply extraordinary. Some of these things are so entertaining, some of them are so freakin' sad, some of them are so galling. But they're only skimmed, so this is not a deep listen that gets you enraged: It only makes you think, makes you awed, makes you chuckle, makes you irked. And there are ditties that you'll never forget: The $20,000,000 wired "Spy Cat" who, and I know the tragedy of this one, doesn't look both ways before crossing the street. And, oh so many more. This is a wonderful book! Sometimes you just can't listen to a 20-hour serious non-fiction audiobook; you just need a mind-breeze that lets you laugh and think. Something well-structured, with perfect segues, and great narration. I'm bailing out on this audio book, only a few chapters in, due to the distracting narration. Not time well spent. If you’ve listened to books by Dan Lewis before, how does this one compare? His style is breathy and dramatic. Not a good fit for this, or any other, audio book. Could you see Now I Know More being made into a movie or a TV series? Who should the stars be? The content may be worthwhile, but I'll never know because I can't stand listening to the narrator. 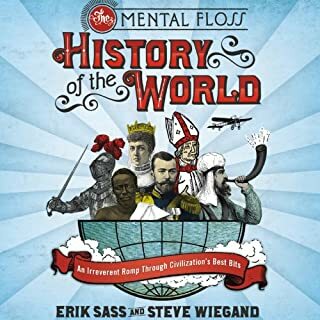 I downloaded this to occupy the long hours during my weekly cross-country drives.... and while the content is generally fun and interesting, the narrator, Anthony Haden Salerno, is so annoying, so off-putting, so irritating, that it really detracts from the content. I've done a good bit of narration myself -- not audio books, but a great many video productions, a couple of documentaries, and thousands of commercials -- and I cannot imagine who cast this guy. I think his approach may work for other applications, but not this. Nonetheless, though, if you can get past that, the stories are generally good. Brief but with you just the right amount of detail. Writing style and reader made it perfect. I learned a lot. Would you ever listen to anything by Dan Lewis again? No. Although I love hearing/reading about arbitrary, lesser-known facts and anomalies, the presentation here was too stiff for my tastes. It read more like an old history text book than an anthology of interesting stories. I probably would have finished listening to the book, rather than giving it up halfway through, if the narration was performed by someone else. The narration was artificial, and prone to unnecessary "breathless" and other melodramatic affectations. Very annoying to my ear. Had to abandon it. What character would you cut from Now I Know More? Since this is an anthology of stories, and not a novel, there are no characters on whom to comment. Glad I got this one for a "Daily Deal" discount. I would have been upset to have wasted a credit or paid full price. What did you like best about Now I Know More? What did you like least? The content of the book probably bears out the title; however, I could not get past the narration. The reader does little justice to the text. What didn’t you like about Anthony Haden Salerno’s performance? The "performance" is over the top, overly dramatic, and breathy - to the point of distraction. I could not get past the first two chapters. To prospective buyers: do yourselves a favor, take a pass on this one. Being a trivia fanatic, I found this interesting. The format of the book was good; the anecdote was told, and then a bonus fact was given. The next anecdote had some connection to the previous one, whether it be by locale, subject, etc. I had heard some of the facts before (oddly enough, one of them just the prior week), but most were new to me. Apparently, this is the second book of this series, but you don't need to read the first one as the facts are different. I listened to this on audio, and although I found the narrator's inflection a little annoying at times, I adjusted and it was fine. 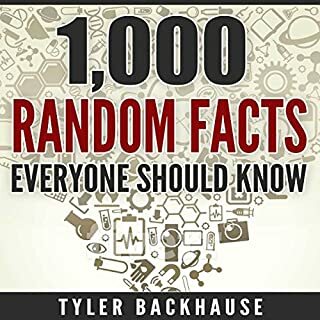 If you read the first book, this is more of the same: a series of bite sized (five minutes or less) factoids that are made to be interesting and thought provoking. You don't need to listen to the first book before this one, but if you haven't already go ahead and pick that up too. It is worth it and both books are full of fascinating facts. 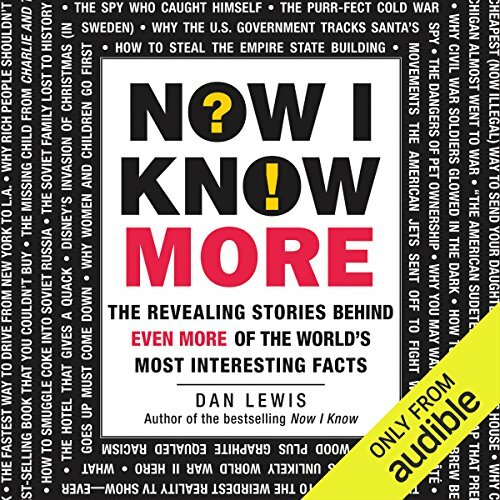 I listened to the first of these book, "Now I know" and really enjoyed it. So I bought and downloaded the second. While the types of stories are the same, the sing-song cadence of the narrator of the "More" book really gets on my nerves. The first narrator, Jeremy Arthur, is just fine. Not too heavy on the emphasis of this happening. But Salerno ends almost every sentence with a breathless modulation of his voice. I hope the publisher gets rid of Salerno and brings Arthur back if there are any more recordings in the series. Not as good as you would think! The largest majority of facts are about the USA and, if you're not American, you probably won't think them that interesting and probably won't understand why anyone would think them interesting, even if they understood the context of the 'fact'. 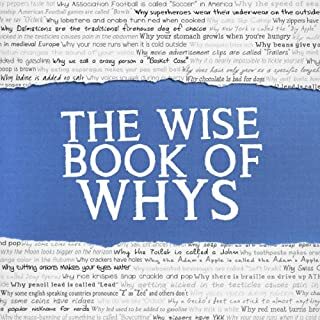 Given the above, very few of the facts are what I would call interesting, but when you hear repeated "according to Wikipedia" (or other sources such as newspapers) you wonder whether they are even actually 'facts' at all and may question the thoroughness of the research. Some of the 'facts' are generously seasoned with errors and a book about facts should probably make sure it 'gets it facts right'. Two simple examples (there were many more), the narrator refers to the British fighter aircraft the "Submarine Spitfire". Since (outside the USA) this is probably the second world war's most famous fighter aircraft, no small bit of research would tell you that it is accurately the Supermarine Spitfire (i.e. made by the Supermarine aircraft company). Similarly, the narrator refers to the HMS Titanic - even people in the USA must have heard about this particular vessel it being probably the most famous (infamous?) ship sinking! But it was not a warship (HMS) but a Royal Mail Ship (RMS)... I could go on. I wish I hadn't wasted my money on this!! Well what can I say other than this is a really interesting and factual information book I really enjoy books like this as you just learn so much random stuff!! I really enjoyed this and the first book. The narrator on this one was too dramatic for me. He sounded like an 80s movie trailer guy. Good work on this Dan, but consider a different narrator next time. Very comfortable to listen to in bed while drifting off. So much info! cleverly delivered. No canned laughter to distract from the well researched stories. Will be purchasing the other now I know more.